METUGRICUNA-- Millennials Epiphanizing That Unlimited Government Renders Its Citizens Utterly Naked and Afraid. Female METUGRICUNA: "Why are wading through these snake-infested waters?" Male METUGRICUNA: "Yesterday we used the last of our carbon-footprint credits." Female METUGRICUNA: "Why am I going first instead of you?" Male METUGRICUNA: "The Producers said it would be sexist for me to lead." with a couple of CPAP machines in case we experience sleep apnea." could have a drink on the rocks if we were to become dehydrated." to give him a written note with a drawing." "I wonder who'll be my celebrity partner. I hope it's not Al Gore"
you that when she's naked I'm afraid." that are NOT safe for work, but, of course, they are NOT displayed here." 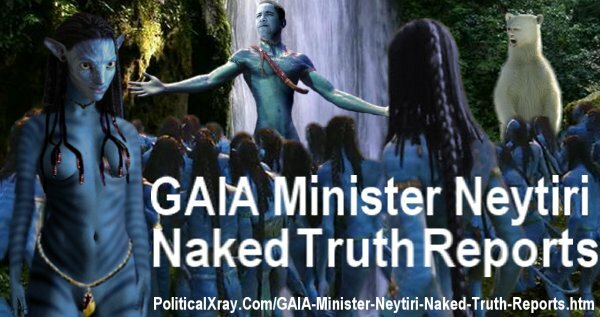 Naked and Afraid of the Naked Truth about "Global Warming" or "Climate Change"?